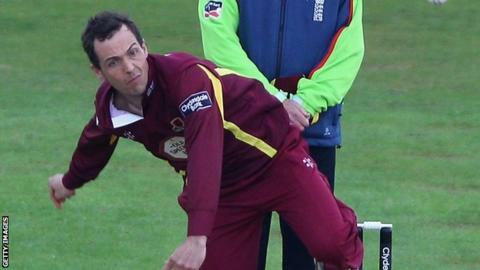 Northants wicketkeeper David Murphy and all-rounder Con de Lange have signed new deals at the County Ground. South African De Lange, 31, has agreed a further one-year stay after taking 12 wickets at an average of 15.6 in last season's CB40. Murphy, 23, scored 252 runs in 10 County Championship matches last term and has signed until 2014. "A lot of the younger players are signing up and hopefully we can all progress in the coming years," he said. "We all want to work hard and bring success to the county." Head coach David Ripley added: "Con's one-day form was very consistent and his professionalism around the squad is a valuable asset to us." De Lange excelled in the shorter form in 2012, finishing as the club's leading CB40 wicket-taker and contributing eight wickets at an average of 18.8 in Twenty20 competition.